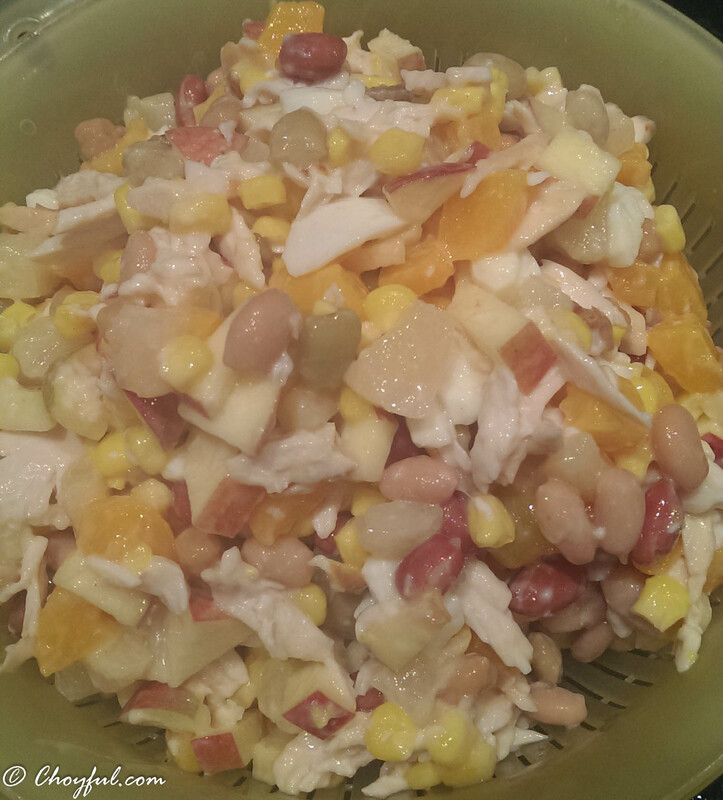 Chicken & Bean Salad – Choyful. This salad was invented by Mama Choy, she makes it for potluck parties or when she brings home 2 or 3 roast chickens because they are on sale. 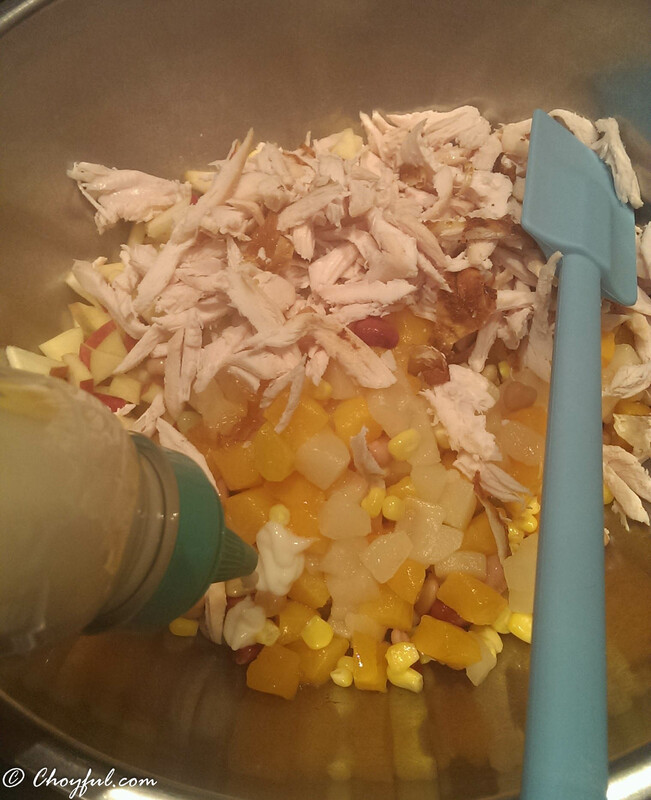 The combination of roast chicken, the sweet fruits and corn combined with creamy mayonnaise. Not sure what it is, but it doesn’t taste as healthy as it sounds. I remember first being exposed to a campaign called Go for 2 (fruits) and 5 (veg), in a health and human development class back in my high school days. It was a way the Australian government was trying to promote eating healthy and eating well, to the public. I am a big believer in everything in moderation. But, upon evaluation of my own food habits, I discovered that I could substitute a lot of my “snack foods” for more wholesome foods. It was difficult at first, but once I was able to subconsciously make healthy food choices, I found that I felt overall better. My gut also loved me too ^^ ! This salad has therefore, became one of my go to snack foods. A small bowl really is sufficient enough for a snack in the afternoon to suppress my need for sugary snacks, or a large bowl for a main meal. Please give it a go and enjoy eating it. Place eggs in small saucepan filled with water and bring to boil, then on medium heat boil for about 10mins. 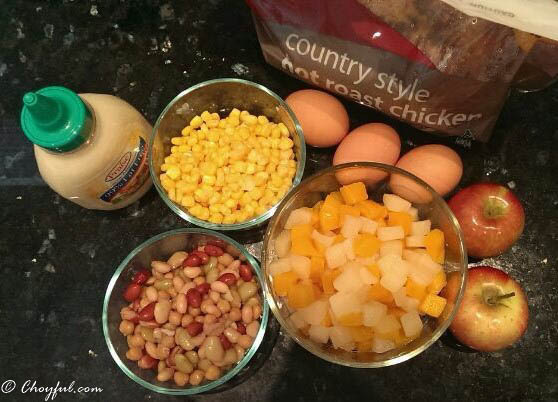 Drain beans, fruit salad, corn cans and rinse them thoroughly under running water through a sieve.